Our last two blogs posts have given your driving routes for a tour of Olympic Peninsula wineries from Seattle. Here, we finish that itinerary with our last two winery stops. After Black Diamond Winery and their beautiful views, head back down Black Diamond Rd. towards Port Angeles. Continue onto Pine St. and then turn right onto W 16th St. Get back on US 101 W for about a mile and then turn left on Benson Rd. About a third mile up the road, Camaraderie Cellars will be on the left, at 334 Benson Rd. It’s a quick mile and half to our final winery: Harbinger. Simply head back to Hwy. 101 from Benson Rd. Take a left onto 101 West and about a mile down you will see Harbinger Winery on the left at 2358 Highway 101 West. What a day! This is a good 8-9 hours of wine tasting and touring. You will see a wide array of Olympic Peninsula communities and environments. 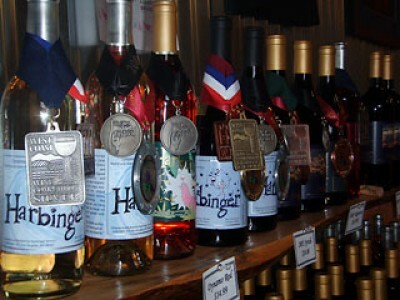 By the time you pull away from Harbinger Winery, you are sure to be ready for some dinner. Stop in Port Angles for a delicious dinner at one of our recommended restaurants. After all that, you can make your way back to the Bainbridge Ferry on Hwy 101. Or, if you’re done driving for the day, stay on the Olympic Peninsula for the night in a hotel, bed and breakfast or inn. Looking for a good weekend to come up and visit us this spring? 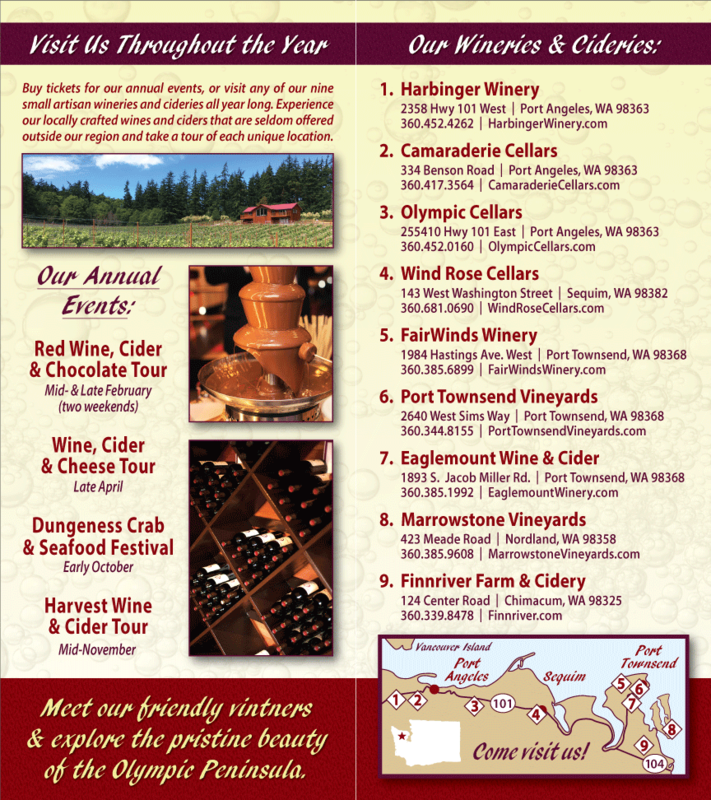 May 4th & 5th is our annual Northwest Wine and Cheese Tour. We invite you to sip and savor new wine releases and ciders paired with a variety of cheeses crafted by local, artisan creameries. The Olympic Peninsula Wineries and eight local creameries will treat visitors to a truly local culinary experience, with interesting pairings that provide an authentic sense of place.